55% Cotton/45%Polyester; Yarn dyed stripe; Wrinkle free finish CVC. 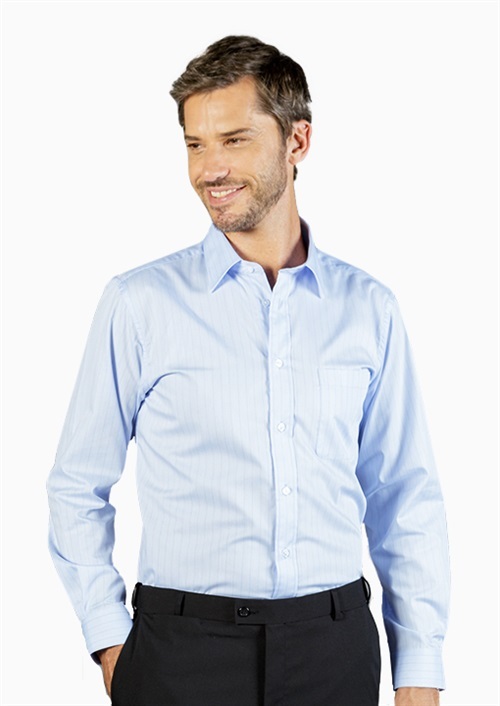 Regular Turned over, spread button-up collar. Long Sleeve; 2 button adjustable cuff. Contemporary fit; Single chest pocket. To find out more about the M1069L - L.S Mens Herringbone Shirt please Email or Call +61 1300 700 056.